Product information "Floral Printed Wool / Silk Pocket Square - Burgundy - 40 x 40cm"
In the quiet hills of the British countryside lies the traditional heart of English silk printing: Macclesfield. Once home to numerous manufactories that produced the inimitable screen-printed silk connoisseurs love so dearly, today there are only two left that produce what internationally became known as “British Neats”. But nowadays they’re also able to print pocket squares using inkjet machines, easily identifiable by the discreet white sheen of the backside (when using block print, the fabric is colored in a ground tone). This modern printing method is best suited for light, more summery colors, which is why we used it here. 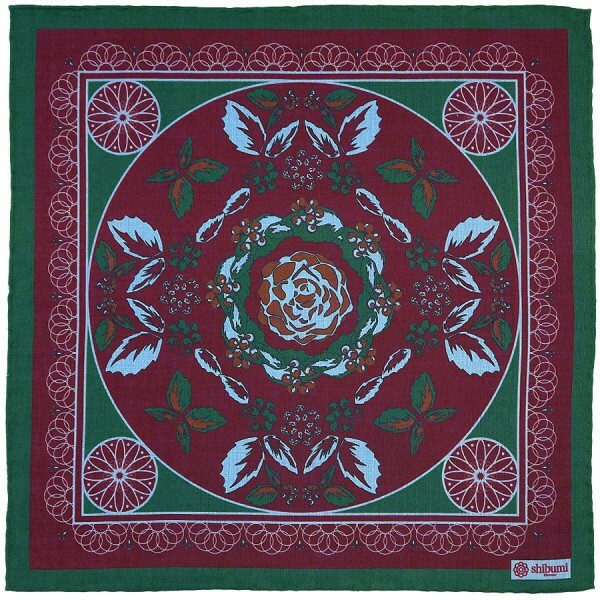 Related links to "Floral Printed Wool / Silk Pocket Square - Burgundy - 40 x 40cm"